Thanks Agnes, If not for you we might still be a corn field! Sometimes out of tragedy comes triumph. So it was in 1972 when the borough council voted to adopt a recreation board after Hurricane Agnes devastated much of our downtown including the baseball field just up the tracks in Centerville. 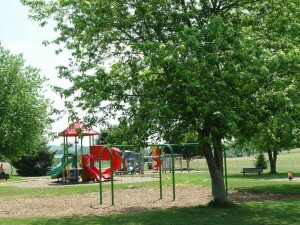 Then, in just 4 short years, the Glen Rock Park was dedicated featuring a baseball field, softball field and play equipment. Since that time countless volunteers, organizations and individuals have added many other amenities to make it one of the finest facilities in York County. 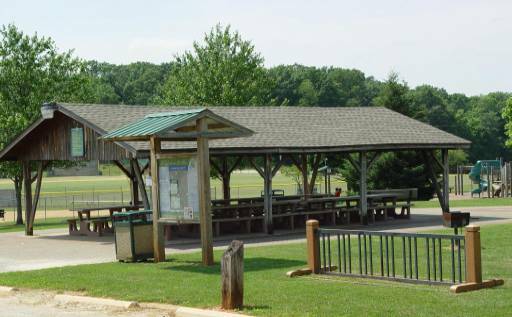 The Park Pavilion accommodates picnic table seating for approximately 60 people. Four in-ground charcoal grills are available. Electric service is also provided. The public restrooms adjacent to the pavilion are open April 1 through October 31, dawn to dusk. Reservations for pavilion use are strongly suggested. Reservations are accepted on a first come, first served basis by the Glen Rock Recreation Board. Reservations are accepted starting January 1 for the current year. A reservation sheet is required to be completed. To schedule a pavilion reservation, please call 717-235-3206 for contact information. Click here to download the Park History. Click here to download a park flyer.